Hope you all had a lovely Christmas / holiday time. 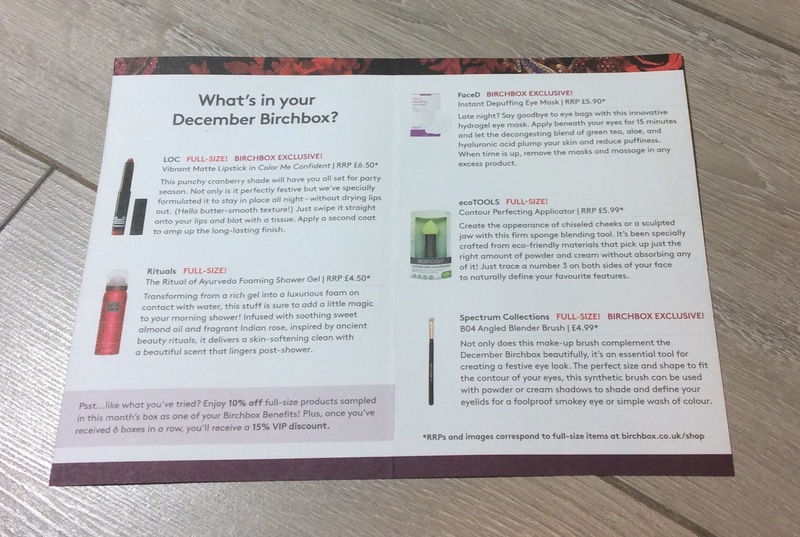 I received my December Birchbox mid December, although my review is a bit late decided to post as few followers had asked for it and there is still a few days left to get the December box (while stocks last). 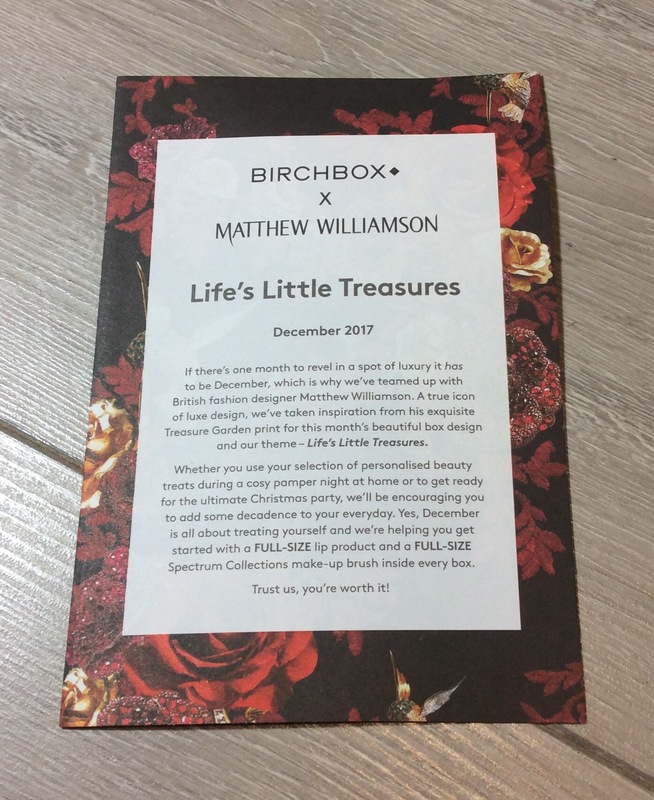 Theme of this month’s box is ‘Life’s Little Treasures’ – Birchbox teamed up with fashion designer Matthew Williamson. 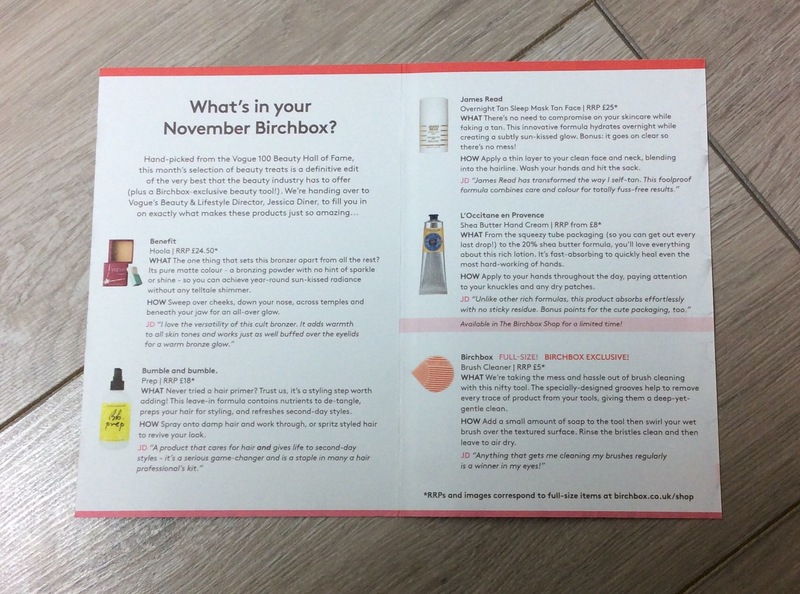 Love the design of the box this month – v festive colours as well. Rituals The Ritual of Ayurveda Foaming Shower Gel (50ml) – RRP £4.50 – Larger Size is 200ml RRP £8.50 – already love a number of Rituals products and their shower gels are among these. This has a pump applicator with a gel formula which turns into a beautiful creamy foam when you massage with water. 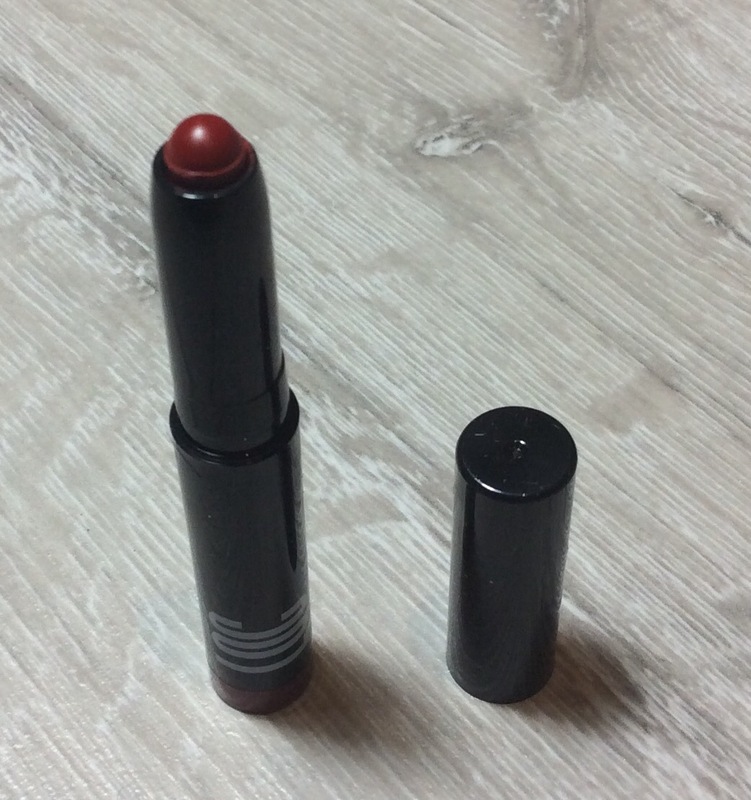 The fragrance is gorgeous, lingers on the skin and the rose element is not overpowering which prefer. Cleanses your skin without drying it, although I always put on a body lotion/butter afterwards. V happy this was included and this is the perfect size for travelling – definitely recommend trying Rituals products if you haven’t already. ECOTOOLS Contour Perfecting Applicator RRP £5.99 (but can get for less) – have tried a few of the ecotools brushes before and although they were ok not my favourite. This contour sponge is firm and does help to sculpt / contour but feels a bit more awkward to use than my normal brushes and results are not any better so although good to try would not purchase. Spectrum Collection B04 Angled Blender Brush – Full Size states RRP £4.99 on card (although £5.99 on Birchbox site) – as you know if you have been following my posts I love spectrum brushes, love the black and rose gold colours as well. This is the perfect brush for applying eye shadow at the corner, as a transition shade / crease colour or defining. V happy to see this included as well. 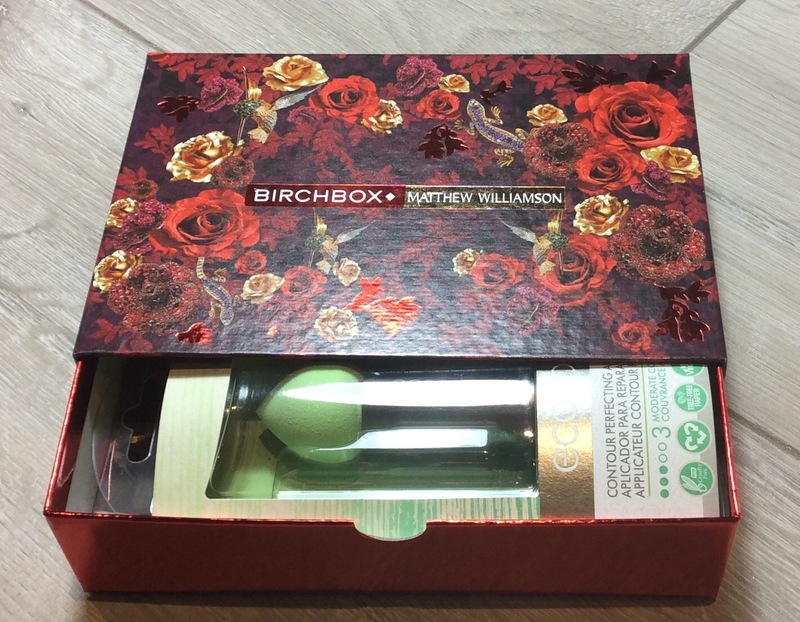 Impressed with this months box only one product this month I would not go on and purchase, the ECOTOOLS contour applicator – not that is a bad product but not as good as brushes I currently use . 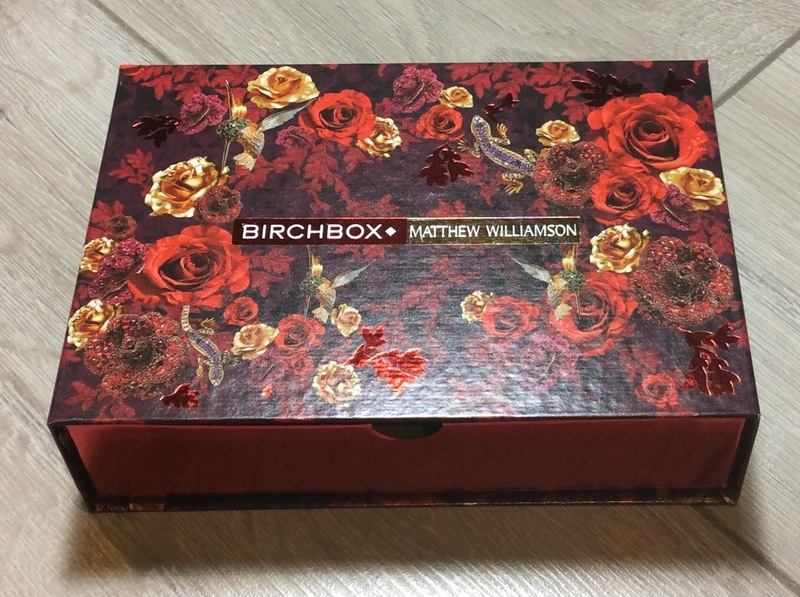 This box has definitely been one of the best Birchboxes for me in 2017 – I personally think all the beauty boxes have been better this month so making it more difficult to decide which ones to cancel for a while – I have already cancelled the Love Me Beauty subscription– not that it is a bad box, always great value but already have all the products, disappointed not more new products introduced recently, however saying that January’s choice will probably be better now. 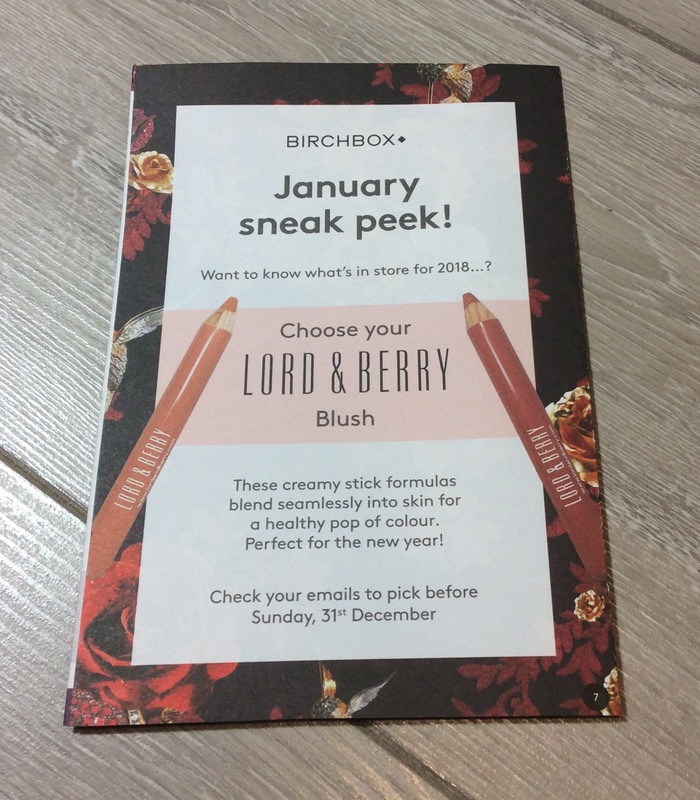 If you are thinking of subscribing to Birchbox UK – you can get £5 off your first box -(box is normally £10 +£2.95 shipping – you will get for £5 +£2.95 shipping) by clicking link here and then copy and paste code at checkout to get your discount. Thank you in advance if you use this link. Thank you – have a great weekend – more posts will be up later today or tomorrow/over the weekend.